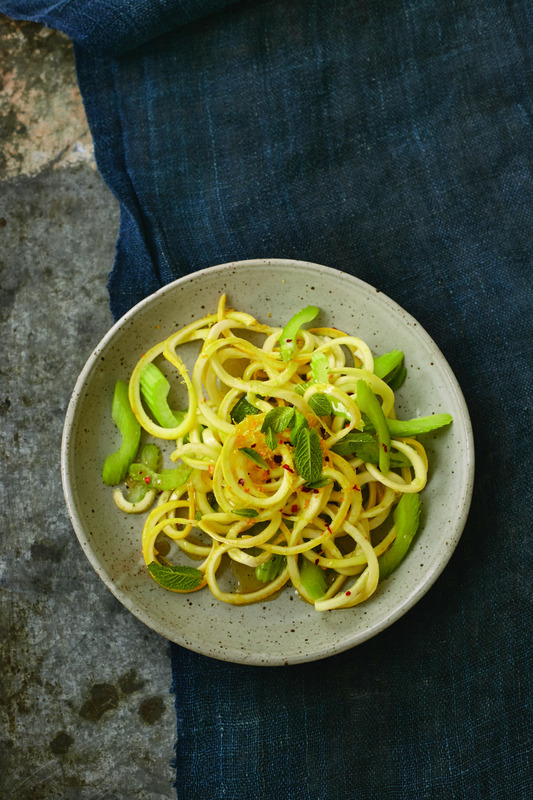 EATING CLEAN : Spring cleaning at its most delicious ! Since I’ve been back in the Big Healthy Apple, I’ve fallen in love with my friend Amie’s blog The Healthy Apple. As they say, A Healthy Apple a day…. But seriously, Amie’s recipes and positive energy are definitely worth getting your daily dose. Her latest book Eating Clean is everything I hoped it would be and more. There are so many healthy cookbooks on the market today, but Amie’s stands out from the rest for several reasons. First of all, she’s so relatable – think: the green-girl-next-door ! Her recipes don’t feature esoteric ingredients or hard-to-find (and pronounce!) superfoods – they’re based on seasonal produce and creative combinations. The first section of the book really hit home for me. Amie talks all about her own health journey from being an energetic 25 year-old killing it in the fashion industry in NYC to being bedridden for months at a time and even given a death sentence by doctors. After a full detox of her diet and her life, today Amie is a role model for anyone suffering from unexplained illnesses, never stopping the search for answers and now dedicating her life to helping others in similar positions. 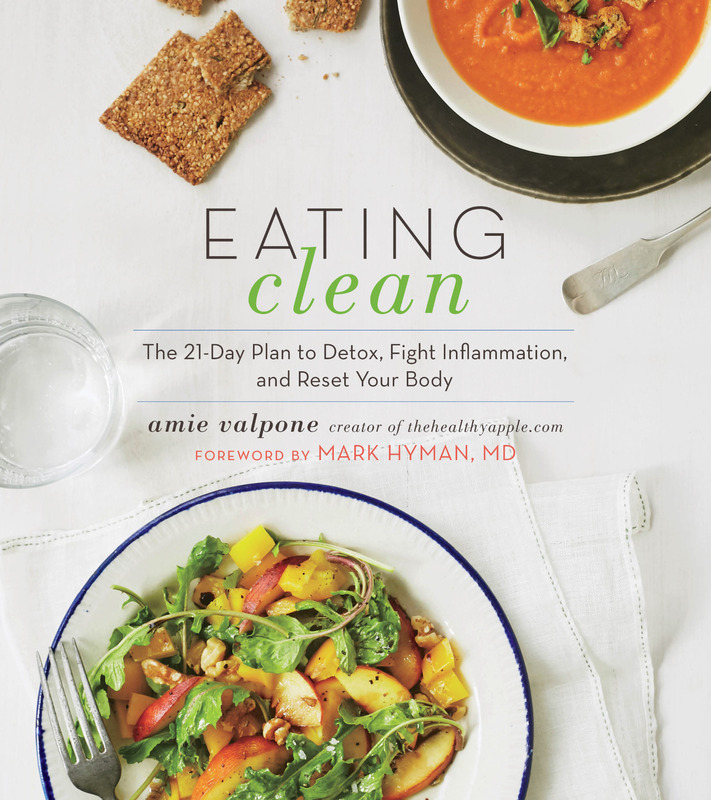 As Amie says, “you don’t need to get sick to get healthy.” Even if you feel perfectly fine, a little detox never hurts and Amie’s colorful and inventive recipes and full 21-day plan are perfect for a little bit of Spring cleaning this time of year as we transition through the seasons. Her Clean Eating Manifesto is so great. I especially love #3: “Detox is not the same thing as a juice cleanse. Not even close.” Thank you. The first part of the book is straightforward and really breaks down what exactly a detox is, why it’s important to detox and provides an an easy-to-follow how-to of what this entails on and off our dinner plates. She talks about maintaining a social life while eating clean, on-the-go snacks and dealing with friends and family while going through a major lifestyle shift. She goes through the basics of food prep like how to actually cook gluten-free grains, how to soak nuts and seeds and how to make leftovers your friend. She outlines a detailed plan for a 21-day reboot for those who want a full plan with results, but her recipes, organized by meal, are great for anyone. Some of my favorites include breakfasts like baked coconut apple oatmeal, morning glory carrot muffins and a genius breadless coconut vanilla French toast, soup combos like pear and fennel, coconut curry carrot and a spring cilantro, leek and sweet pea, mains like a creamy cashew Caesar with kale, a “blissful quinoa pizza” that is everything is sounds like, an imaginative “enlivened summer peach, foasted fennel and quinoa tacos” dish and “Mucho broccoli and delicata squash bowl with tahini dressing”. Oh and definitely save room for dessert – perfect pumpkin gelato, easy raw chocolate coconut banana tart or grain-free fudgy brownies anyone? That’s my kind of detox. If you haven’t already fallen in love with Amie from her blog, her peppy and passionate prose and honest writing style will have you falling head of lettuce over feet. A terrific summertime staple that’s full of flavor and fiber without any grains. Did you happen to notice the simple directions for this recipe? Combine ingredients and serve. Easy as it gets.